Many are aware that moving is one of the leading things which pressures a lot of people the most. Many homeowners or renters have moved several times over the last years, and have tried to streamline it as much as possible. So to help you with your next move, we’ve outlined some of the practical tips and tricks you can use for your next move. Plan your packing and do not wait until the last time.. You need to check how many rooms you’ve got in your house and learn that you need to spend at least several days for each room and a few extra for your kitchen. By doing this, the packing must be pretty simple. Label all of your boxes and make sure that you color code each of them if you can. 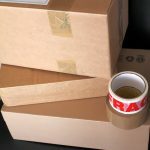 Remember that you need to identify what is inside your boxes so when you arrive at your new house there is not too much searching. Get and purchase more boxes than you believe you'll need. Later on, you will be grateful for them. You can also ask your friends and family to have a packing day to get ready for the big moving day. Get your utility transfer set up several weeks earlier prior to your move. You will find some services that provide frequent flier miles or specials for signing up. Thus, you might wish to check them first. Give your old and unnecessary items away to charity or hold a garage sale. This is an excellent way for you to donate most of your stuff you do not use to organizations or charity. You can get a tax deduction within the process too. If you have not utilized something for the whole year, it is time to ask yourself if you need that particular item. Save costs on moving unused goods. Use wardrobe boxes. Did you know that these are perfect for moving a plethora of clothes easily? Plus, there’s no need for you to take them off of their hangers. Consider hiring professional, insured movers. Taking advantage of professional movers will surely help you with your moving process. Indeed, moving with your friends might be a lot cheaper. However, is it worth risking any injuries on carrying heavy furniture? Get your magazines and newspapers forwarded to your new address. You also need to draft a note of your subscriber account numbers. Make sure that you save them because you’ll need them the next time you move again, and every time you plan to go for a vacation. Remember to fill in the Mail Forward form at least two weeks before your big move. Consume the food in your fridge and don’t forget to turn it off earlier prior to your move so it can defrost. In case you need to purchase food, purchase only cupboard or fresh items. It is never too soon to begin packing. You can start packing everything which isn’t needed. If you do not need to utilize it daily, it can get stored for moving.